DROWNTOWN: GOSH! 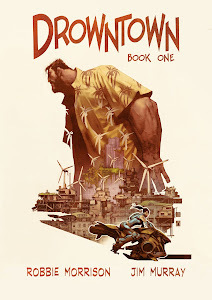 IT'S THE DROWNTOWN LAUNCH PARTY! GOSH! IT'S THE DROWNTOWN LAUNCH PARTY! The groovy folks at GOSH! are hosting a launch party for Drowntown on June 21st at their brilliant shop in the heart of Soho. Be there or be square. Gosh! is quite possibly the classiest place in London to buy a graphic novel, and has been for the last 25 years or so. They've gone from strength to strength since moving from their first shop across from the British Musuem, and stock a range of graphic novels that is second to none, from translated European albums to mainstream superhero antics; vintage children’s books to contemporary graphic fiction; compulsively readable manga to cutting edge small press. 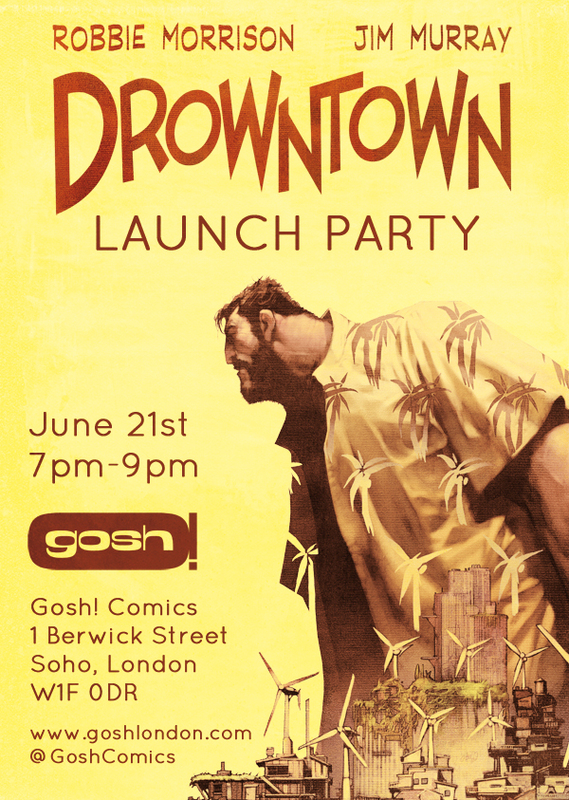 For more info about the Drowntown launch - as well as numerous other events - please check out http://www.goshlondon.com/. Of course, in Drowntown, Berwick Street is bang (or splash) in the middle of the flood-zone that futuristic London has become, submerged deep underwater. Will the distinctive GOSH! sign still be visible above the waves?